This year, and, I hope, in future years I have decided to keep a diary as a kind of reference of my doings, distance, mishaps and places visited during my career as a cyclist. For eight years I have owned a cycle, but up to last year I have been a ‘hothouse’ rider. As time went on, however, I have started to realise that the game, for sheer enjoyment and love of the countryside, is of a superior standard, and so I have become a worshipper of the Open Road. My present age is 17, therefore I have years before me in which to ‘make good’. 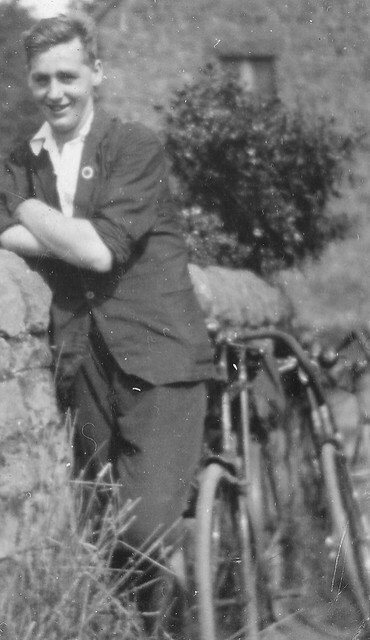 My first tour has not materialised yet, but, perhaps this year will see me exploring the wonders of the land, both historical and beautiful, for although I have taken many holidays on a bicycle, upon reaching my destination, I have left my machine in some shed or cellar, until the time to return. Never thinking of the glorious days wasted in dashing about a dull, monotonous promenade or listening to the weird moaning of pierrots, there being only one diversion from the sameness, and that at certain periods of the day. This is boating, which in my estimation comes next to cycling. For hours I have pulled a rowing boat over the silvery shimmering sea, or lolled about comfortably listening to the gentle lapping of the wavelets against the boat sides, or tossing like a cork on a skiff that dances with the least signs of roughness, whilst the foam crested billows seemed to bear upon us, hovering overhead like some great avalanche, threatening destruction. I love the sea. As I have said, last year was my first attempt at real, serious cycling, my estimate being about 1,760 miles covered. Not much, it is true, but it is true, so this year I shall double it at least, and anyway I do not equate distance with pleasure, so what matters? Every mile of the 1,760 was a perfect joy, though at times I have arrived home wet through, but I do not regret it. Some of my cycling pals have gone over to the motorcycle, whilst all the rest would if they could afford one. They deride me if I mention the superiority of the bicycle – perhaps you who read this will, but what matters it? I could bet my last dollar that I should get more enjoyment out of my ‘push bike’ in one day than they will out of their petrolised demons in a whole year. No, I am not an old-fashioned crank, just a cyclist who will stick to the ‘ancient push pedal bike’ through thick and thin. The beginning of last year saw two of us as part and parcel of the ‘Farnworth Wheelers, Cycle and Motorcycle Gypsy Club’, an imposing title for a handful of members, and, though we only went two runs with them, it was enough. They were too slow. In the following pages is an attempt to describe this year’s runs.